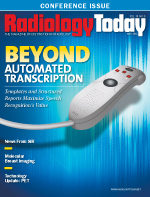 Editor’s Note: This article was prepared from materials distributed at press conferences at the Society of Interventional Radiology’s (SIR) 39th Annual Scientific Meeting recently held in San Diego. Utilizing prostatic artery embolization (PAE) to shrink the prostate without surgery can provide long-term relief to men with benign prostatic hyperplasia (BPH), a common condition that causes annoying symptoms such as frequent trips to the bathroom. Results from a study of nearly 500 men receiving PAE treatment were presented at SIR’s annual meeting. Researchers reported that 72% of men experienced symptom improvement three years after the minimally invasive, image-guided treatment. “Our study confirmed that PAE does not cause sexual dysfunction and preserves fertility,” said Pisco, who indicated that this is the largest study of its kind. He said that 148 (31.6%) of the treated patients reported improved sexual function. “We also found that the larger the prostate and the more severe the symptoms are, the better the results of PAE,” Pisco said. — Abstract 108: “Prostatic Arterial Embolization, as an Alternative to Surgery, for Patients With Benign Prostatic Hyperplasia Refractory to Medical Therapy: Results in 500 Cases” is available at http://download.journals.elsevierhealth.com/pdfs/journals/1051-0443/PIIS1051044313019167.pdf. Music may soothe the soul, but it takes video to calm a patient undergoing medical treatment. That was the main finding of a study of patients who watched videos through video goggles while having a biopsy or other minimally invasive treatment. Results of the research were presented at SIR’s annual meeting. Physicians have explored strategies other than medication to reduce anxiety, including having the patient listen to music or undergo hypnosis, with modest benefits at best. The study involved 49 patients (33 men and 16 women aged 18 to 87) who were undergoing an outpatient interventional radiology treatment such as a biopsy or catheter placement in the arm or chest. Twenty-five of the patients donned video glasses prior to undergoing the treatment and 24 didn’t. Patients chose from among 20 nonviolent videos, and all filled out a standardized 20-question test to assess their anxiety level. Patients who wore video glasses were 18.1% less anxious after the treatment than they were before, while those who didn’t wear video glasses were only 7.5% less anxious afterward. The presence of the video glasses didn’t bother either the patient or the physician, Waldman said. There was no significant effect on blood pressure, heart rate, respiratory rate, pain, procedure time, or amount of sedation or pain medication. — Abstract 126: “Clinical Efficacy, Safety, and Feasibility of Using Video Glasses During Interventional Radiologic Procedures” is available at http://download.journals.elsevierhealth.com/pdfs/journals/1051-0443/PIIS1051044313019362.pdf. Radioembolization with yttrium-90 (Y-90) provides a minimally invasive treatment that delivers radiation directly to tumors when no other treatment options remain for breast cancer that has spread to the liver. Research from the largest study on this treatment was presented at SIR’s annual meeting. The study reviewed treatment outcomes of 75 women aged 26 to 82 with chemotherapy-resistant breast cancer liver metastases that were too large or too numerous to treat with other therapies. The outpatient treatment was safe and provided disease stabilization in 98.5% of the women’s treated liver tumors. Approximately 50% of patients who develop metastatic disease will have cancer spread to the liver, Lewandowski explained. While chemotherapy is the standard treatment for these women, many either will have progressive liver disease despite multiple different treatment regimens or will not tolerate the side effects from toxic agents. Currently, patients are considered for Y-90 radioembolization when they have no other treatment options, he said. “The value of Y-90 radioembolization in treating patients with nonoperative primary liver cancer and metastatic colon cancer has been demonstrated,” Lewandowski said. Given the low toxicity and high disease control rates, this therapy is expanding to other secondary hepatic malignancies. “We’re looking to gain maximal tumor control while minimizing toxicity and preserving quality of life,” he said. In this study, imaging follow-up was available for 69 of the 75 women treated. In all of these women, liver tumors were growing prior to treatment. Following radioembolization, there was disease control in 98.5% of the liver tumors, with more than 30% reduction in tumor size for 24 women. The treatment had few side effects. — Abstract 192: “Yttrium-90 Radioembolization for Hepatic Breast Cancer Metastasis: A Contemporary Analysis of Safety, Response, and Survival” is available at http://download.journals.elsevierhealth.com/pdfs/journals/1051-0443/PIIS1051044313020381.pdf. James B. Spies, MD, MPH, FSIR, the chair of the radiology department at MedStar Georgetown University Hospital and a professor of radiology at Georgetown University Medical Center in Washington, D.C., assumed office as SIR’s 2014-2015 president during the society’s annual meeting. A researcher in the field of uterine fibroid embolization (UFE) for more than 15 years, Spies has published more than 100 peer-reviewed papers on his research into the technique. He has been a principal investigator in five funded research trials, including the Fibroid Registry for Outcomes Data, a study of 3,000 women, and he developed the Uterine Fibroid Symptom and Quality of Life questionnaire, the only fibroid-specific symptom and quality-of-life questionnaire currently available. Most recently, he led a multicenter study comparing the relative quality of life impact of myomectomy and hysterectomy. His research defines many parameters associated with UFE, including subsequent ovarian function, long-term outcomes, and other safety and efficacy issues. He has been invited to present more than 250 lectures on minimally invasive embolization treatment for uterine fibroids as well as enlarged prostates, varicoceles, and postpartum hemorrhage. Spies attended Georgetown Medical School and completed his residency in diagnostic radiology at the University of California, San Francisco and a fellowship in interventional radiology at New York University. From 1985 to 1989, he served in the US Air Force as chief of interventional radiology at Wilford Hall Medical Center (now Wilford Hall Ambulatory Surgical Center) in San Antonio. He was in private practice in interventional radiology until 1997, when he joined the Georgetown faculty. Individuals with vertebral compression fractures suffering from spinal fractures caused by osteoporosis or weakened bones now have another option to reduce pain, restore function, and improve quality of life. A new study of 300 patients treated with a new type of vertebral augmentation found that the implant yields similar results as the current augmentation procedure with the potential for fewer subsequent fractures, according to results presented at SIR’s annual meeting. The randomized, controlled multicenter trial examined Benvenue’s Kiva System for vertebral augmentation, a medical polymer implant to treat painful, debilitating vertebral compression fractures that provides an alternative to vertebroplasty and kyphoplasty, the current standards of care. Approximately 700,000 of these compression fractures occur annually, and that number could rise with an aging population. The KAST Trial (Kiva System as a Vertebral Augmentation Treatment — A Safety and Effectiveness Trial) followed 153 patients with one or two painful osteoporotic vertebral compression fractures who received the new implant and 147 patients who had balloon kyphoplasty. Patients were treated at one of 21 centers in the United States, Canada, Belgium, France, and Germany and were followed for one year. The noninferiority study confirmed that the implant provided essentially the same amount of pain relief and improvement in daily function based on accepted measures for pain and function and safety. Researchers also found patients who had the implant were more likely to benefit from a reduction in the angle of the kyphosis and less likely to have the bone cement leak. The study showed that patients were less likely to suffer a fracture in adjacent vertebra, despite the fact that the patients who received the implant had higher risk predictors for future fractures. If replicated in larger studies, the reduced rate of subsequent fracture would be a significant advance. The implant is designed to provide structural support to the vertebral body and a reservoir to direct and contain bone cement. “We are moving away from traditional vertebroplasty or balloon-based vertebral augmentation, which relies solely on the administration of bone cement. This new approach allows the treating doctor to deliver a much more predictable supportive structure into the vertebrae,” Tutton said. — Abstract 238: “KAST Study: The Kiva System as a Vertebral Augmentation Treatment — A Safety and Effectiveness Trial” is available at http://download.journals.elsevierhealth.com/pdfs/journals/1051-0443/PIIS1051044313020897.pdf.